In order to effectively market your product or service you need to step back and understand what problem the buyer is trying to solve with your product. Too often organizations loose sight of this and serve up a ton of features and functionality. 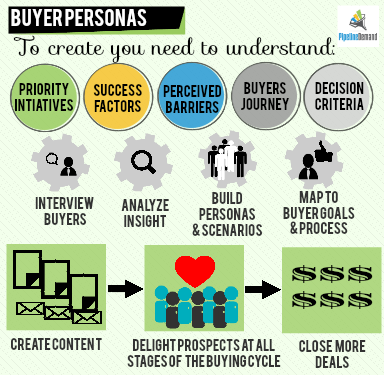 We’ve created an infographic to help you understand all the steps you need to take when creating your buyer personas. LinkedIn now has more than 100 million members. If you want to network with serious decision makers then LinkedIn provides the appropriate channel. So how do you use LinkedIn to network and how do you generate business opportunities? We’ve pulled together some easy to implement tips to assist you in tapping into LinkedIn to create new connections; strengthen existing relationships and position your company as a thought leader. 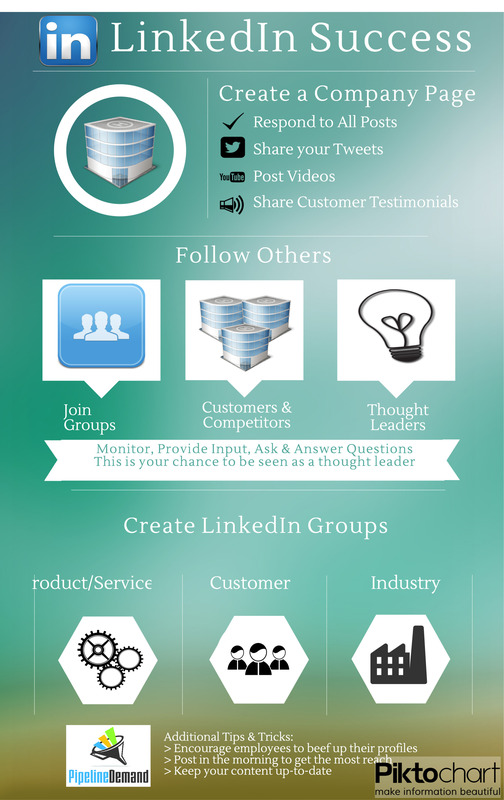 Create a LinkedIn Company Page (if you have not already). Here are some tips to keep the traffic coming to your company page once it’s created. Be sure to monitor your page daily. User Buffer or Hubspot to schedule content to be pushed out to ensure you have a regular flow of content. Monitor these groups daily to see when you offer advice, tips, etc. The idea here is to be a trusted advisor DO NOT sell. Another great way to get your name out there is to start a group around your company. Don’t just follow your customers; keep abreast of what your competitors are doing by following them as well. What they’ve learned by using your service with each other. It can also be a great way to convert a strong lead into a paying customer.